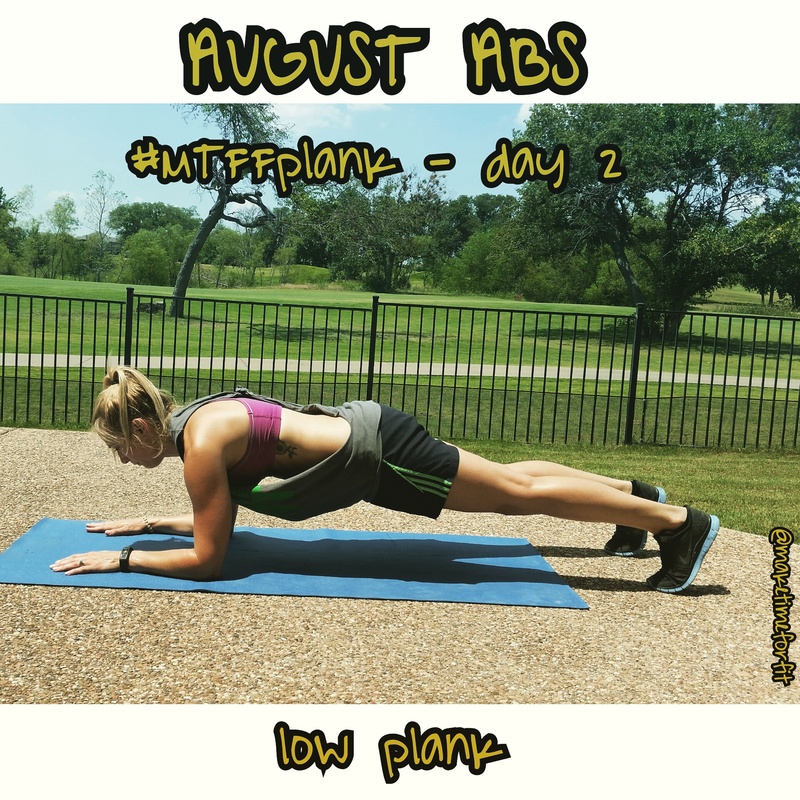 Day 2 of #MTFFplank challenge is the low plank. Just like the high plank keep your weight spread out evenly. Keep forearms parallel, body in a straight line and neck neutral. The low plank is more challenging because it recruits more of your core muscles to do the work. Can you do a low plank for 60 seconds? Challenge friend and get #augustabs together! Start today! Email maketimforfit@gmail.com for your personalized workout program!